N-Fab Stainless Podium Steps are available in a 3" main tube diameter. 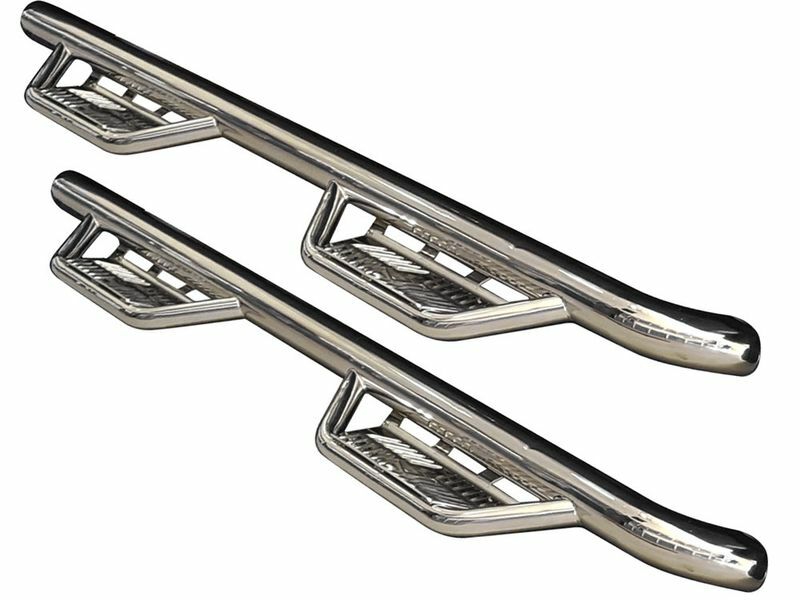 These nerf bars are perfect whether you enjoy street or off-road driving. Offering a clean modern style, your truck will be sure to turn heads. Available in shiny polished finish, each step bar has long lasting durability. Constructed from durable stainless steel, each nerf step features an all new expanded and enclosed sure-grip step. This will allow for safe and secure stepping in and out of your cab. The N-Fab Stainless Podium Steps are perfect for both stock or lifted trucks. Backed by a limited lifetime warranty, you cannot go wrong by adding a set of these bad boys. You can easily install the Podium steps without any cutting or drilling.